Despite a formidable challenge from a fresh-faced opponent, Representative Nancy Pelosi will remain the leader of the House Democrats for the new session of Congress starting in 2017. The incumbent House Minority Leader won reelection for the position by a nearly two-to-one margin again challenger Representative Tim Ryan, who was seeking to end Pelosi's 14-year tenure as the ranking Democrat in the House. The party members had been set to vote on new leadership Nov. 17, but delayed the election in light of the party's debilitating loss in the Nov. 8 general election. Though Pelosi was still predicted to hold on to her leadership position before the election, Ryan's unprecedented challenge had picked up significant support within the Democratic caucus as a symbol of new commitment to change within the party. The 15-term California representative and seven-term party leader had become synonymous with the Democrats' larger failure to adapt and respond to the rising tide of conservatism within the United States, and Ryan was seen by some as the antidote to the Democrats' stagnation. Just under a dozen Democratic representatives publicly endorsed Ryan's bid for the leadership, while five times as many voted for him in the secret ballot. Ryan congratulated Pelosi in a statement indicating that his "I am proud that my bid for Democratic Leader pushed our members to have these tough family discussions about our future and how we win back the majority in 2018," Ryan said in the statement. 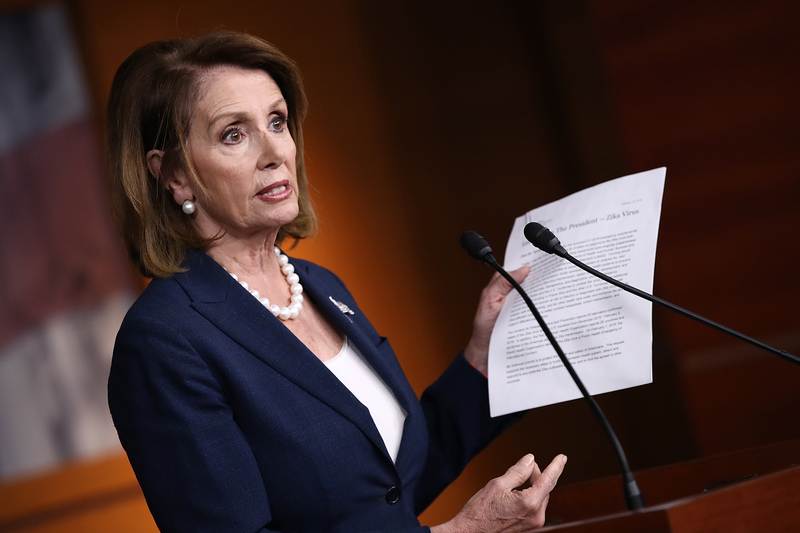 "I am also pleased to see that Leader Pelosi will adopt my proposal to expand leadership by creating a position for Freshman members and to bring back the power to the Committees by creating Vice-Chair/Vice- Ranking Member positions." Ryan campaigned on a reform platform, promising to decentralize power from the five Democratic leadership positions and make the chair of the Democratic Congressional Campaign Committee an elected position. Pelosi's leadership and legacy will be tested during the 2018 midterm election, when the Democrats have the opportunity to take back the House for the first time since 2011. The efficacy of the ruling party typically plays an important role in deciding down ballot races, so the first two years of Donald Trump's administration may have a deciding factor in the Democrats' success. However, Pelosi will still play an integral part in working with the DCCC to fund House races across the country and potentially move the map for Democrats. Pelosi's 30-year career in Congress could come down to the next two years, and whether she can help change the national tide and create a more favorable legislature for Democrats.